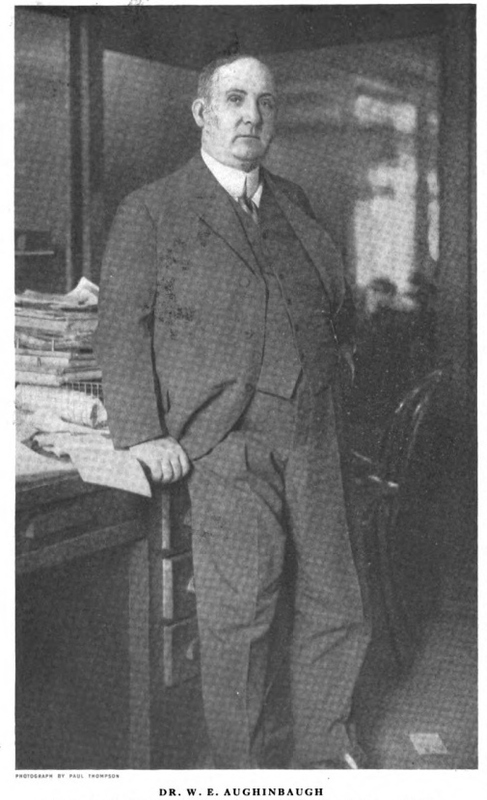 Dr. Aughinbaugh, circa 1915. In: “A Globe-Trotting Physician,” American Magazine, Nov. 1915, 34. As the article, and his autobiography, I Swear by Apollo, make clear, Aughinbaugh lived a life of adventure, traveling the globe for decades. Cuba, Venezuela, India, Peru, and Mexico were all early destinations where he treated lepers, studied the plague, and set up hospitals. He was a founder or early member of the Explorers, Adventurers, and Circumnavigators Clubs; taught courses about foreign trade at New York University and Columbia; and spent many years writing about and helping negotiate foreign trade agreements in Latin American countries and for South American natural resources. The Academy’s manuscript collections contain a small album of photographs donated by the New York Public Library in 1952 (NYPL began sending items of medical interest that were given to them to the Academy in 1900). NYPL has a small collection of Aughinbaugh’s papers, mostly related to his work as the foreign editor of the New York Commercial. Aughinbaugh probably assembled the album between 1897 and 1906. Most of the photographs are unlabeled and trying to contextualize them has presented interesting challenges, demonstrating both the ways in which the written record helps us uncover more information and how much will probably remain forever unknowable. 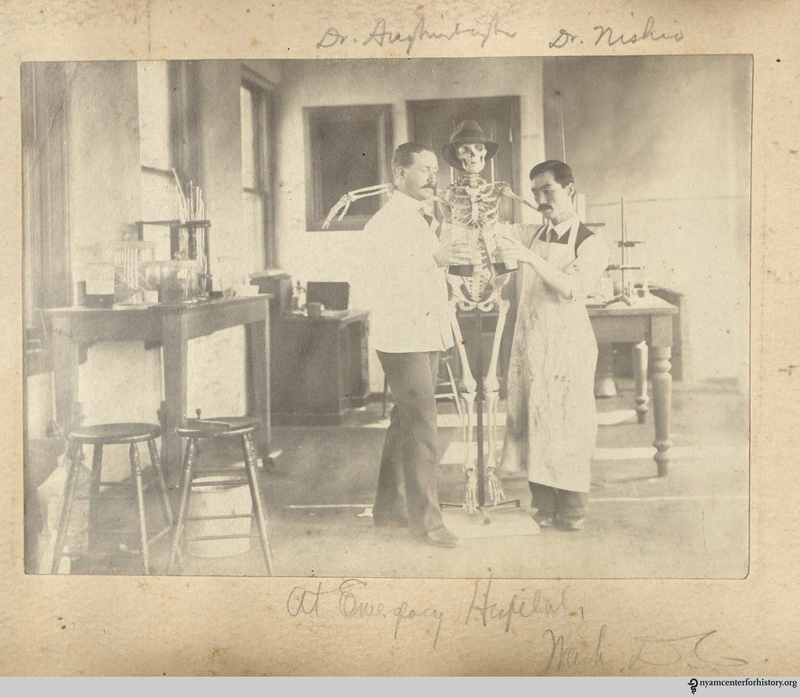 It’s pretty clear that the first couple of photographs date to around 1895–97, when Aughinbaugh was a medical student at Columbian University (now George Washington) in Washington, D.C., and then an intern at Emergency Hospital there. Photograph in Photo album of W. E. Aughinbaugh, approximately 1897-1906. The album also contains posed portraits of patients suffering from diseases or showing the results of surgical operations. In some cases, Aughinbaugh pasted multiple photographs of the same patient into the scrapbook. The album dates from a time that witnessed the expanded use of photographs to document treatments and disease. While there is no way to be certain, these photographs may have been taken by Aughinbaugh himself. Aughinbaugh’s autobiography provides real documentation for only a single photograph in his album. Aughinbaugh spent about four years (ca. 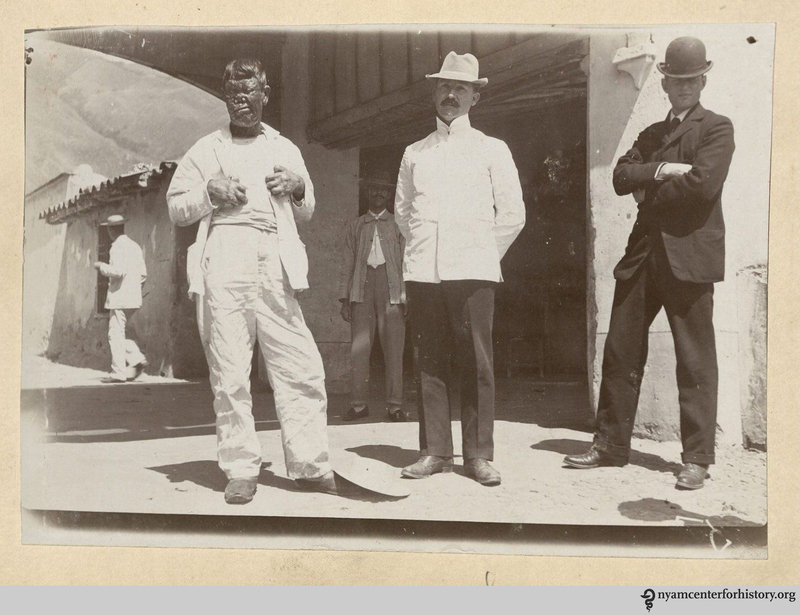 1902–1906) in India during a bubonic plague epidemic, working for the Indian Plague Commission. The picture shows an Indian ascetic suspended upside down over a fire. 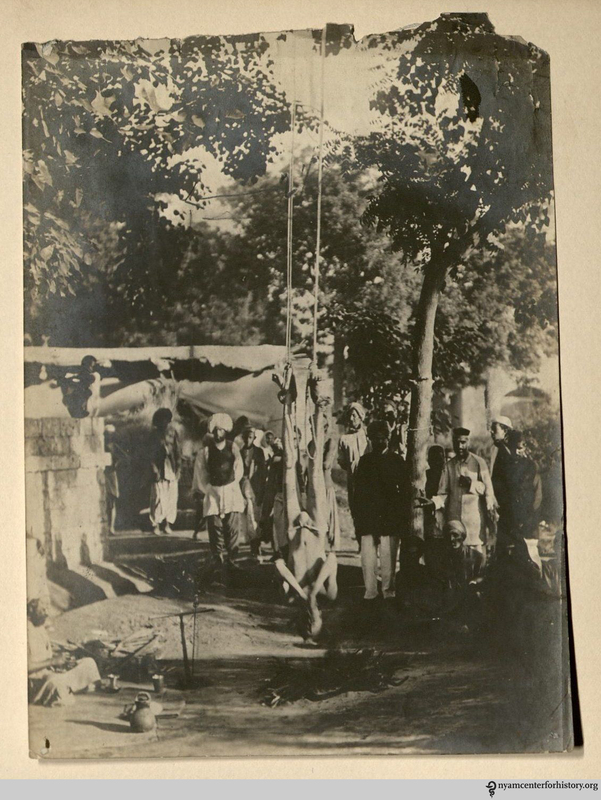 “I photographed one man who hung suspended by his feet from a banyan tree, while his youthful assistant built a fire of dried cow dung within a foot of his head,” Aughinbaugh writes, “When he was lowered, I… could not detect one sign of a burn”.5 He later submitted the photograph to a contest run by the New York Herald, won a prize, and added the clipping to the album. This album raises many questions, both about the use of photography by physicians to record information about medical practice and about the ways in which individuals choose to save images that document their own life experiences. Aughinbaugh’s choice to conflate the personal with the professional is part of what continues to make the album an intriguing part of our collections. 2. Aughinbaugh, W.E., I Swear by Apollo (New York: Farrar & Rineharrt, 1938), pp. 44-49. NYTimes obituary: http://query.nytimes.com/mem/archive/pdf?res=9C06E5D91F3CE73ABC4152DFB467838B659EDE Accessed online on July 29, 2015. 3. 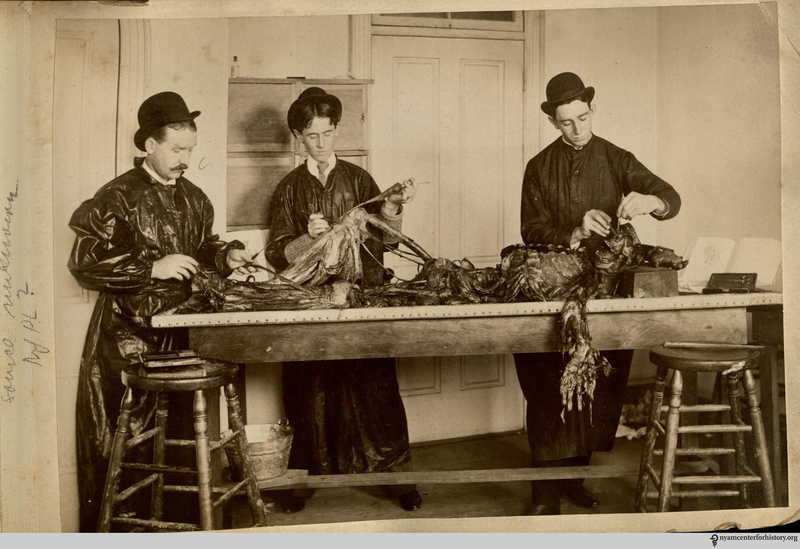 Warner, John Harley and James Edmonson, Dissection: photographs of a right of passage in American medicine, 1880-1930 (New York: Blast Books, 2009), pp. 17-19. This entry was posted in Collections, History of medicine and tagged dissection, Item of the Month, medical photography, patient photography, photography, scrapbook, travel, William Edmund Aughinbaugh by nyamhistorymed. Bookmark the permalink.